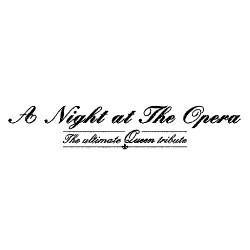 At "Queen I" 40 anniversary "A Night at the Opera" born as the ultimate Queen tribute act. 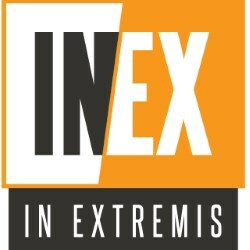 supported by Brian May Guitars, VOX Amplification, Knight Audio Technologies and Optima Strings. "This sounds great, Daniel. Thanks for keeping me in touch. Give my best to all the team, and thanks for paying such a lovely tribute." The British rock left its mark in history when Freddie Mercury and company, formed one of the largest and most innovative rock bands of all time: Queen. All musical styles mixed their compositions and each year new surprises mesmerized its growing audience. It was in this fever that formed the QUEEN TRIBUTE BRAZIL where bring to the stage a work that rescues faithfully with emotion musically and visually classics that eternalized the Queen of Rock that keep on top of the charts to the present day , attracting both new generations as those who followed the band des its beginning. 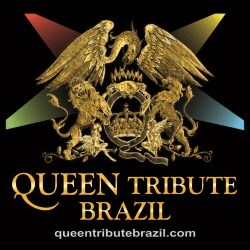 The Queen Tribute Brazil has played in venues, events, shopping malls, business events and theaters always with Blockbuster. 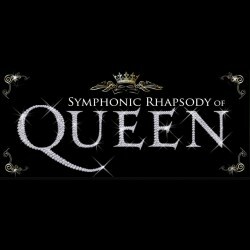 The repertoire, songs like Bohemian Rhapsody, We Will Rock You, Under Pressure, Radio Ga Ga, We Are The Champions, Love Of My Life, Crazy Little Thing Called Love, Another One Bites The Dust, Somebody To Love and more. (Queen label at the time), and also one of the largest collectors of rare materials from the Queen, Antonio Seligman. 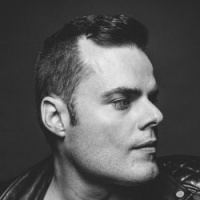 Since then, the band has started its tour through several states, including the annual meeting "Freddie for a day", an event that brings together fans worldwide in support of collections for AIDS victims. In 1992 Brian May (Queen guitarist), when passing by Brazil on tour for his solo album "Back To The Light" personally praised copies of concert recordings that received the cover band. The Queen cover was featured in several of the most important TV shows like: All Program Your (Roni Von - TV Gazeta) The big chance (Gilberto Barros - TV Bandeirantes), Special cover bands (MTV), Clip Trip Program (TV Gazeta ), TV Globo Santos in theaters as Dom Pedro (Ribeirao Preto), Colosseum (Santos), Castro Mendes (Campinas), Mario Covas (Ubatuba), Clara Nunes (Diadema), Gomes Freitas (São Bernardo do Campo) hills (São José dos Campos), Paulo Autran (Cerquilho), Municipal baueri, Mauá, and at prestigious venues such as: Café Piu Piu, Xoc Lady, Kazebre, Manifesto, Aeroanta, Woodstock Palace (now HSBC), Raphsody , event Queen's day (with special participation of Andreas Kisser, João Gordo and Bruno Sutter), and events of several prefectures of SP, SC, MT, RJ, BA. His biggest audience was at the meeting of motorcyclists Macaé - RJ, with 10,000 people. The band recreates on details the music, performance, costumes and musical instruments (Red Special guitars, Fender Bass guitars, Vos AC-30 amps), of the real Queen. 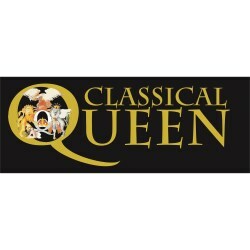 Making more than 100 shows/year, Classical Queen is the greatest Queen tribute band in Brazil. Queen, formed in 1971 by Brian May, Roger Taylor and Freddie Mercury & John Deacon reigned over the world’s rock charts for over 20 years. Freddie Mercury was regarded as one of the greatest vocalists, bandleaders, songwriters and live performers of the 20th Century, leading Queen to nearly 20 worldwide #1 hits. His persona, stage presence, and ability to mix & mingle song genres was never (and arguably has never) been matched to this day. Brian May, having made his own “Red Special” guitar at the age of 17 is one of the greatest guitarists ever to have lived! One of the reasons why the Queen sound is so diverse is because of the instantly recognisable and unique sound of the Red Special coupled with Brian’s revolutionary use of layering, orchestrations and some of the most technically brilliant, yet catchy solos ever performed. Add to the lineup one of the grooviest and smartest bass players ever, John Deacon (who wrote Queen’s biggest selling single, Another One Bites The Dust), and you have a deadly combination! Queen pioneered stadium rock and were one of the hardest working tour acts the world has ever seen, playing over 700 shows between 1971 and 1986, with their performance at Live Aid in 1985 voted many times over as the best live performance of all time. Queen’s Bohemian Rhapsody is one of the most well-known songs ever written and is the only single ever to reach #1 both upon its original release AND upon it’s re-release, in 1991 becoming Britain’s #1 selling single of all time. Another One Bites The Dust was Queen’s biggest selling single of all time worldwide, with sales of over 7 million copies, becoming the only single ever to top the Billboard Hot 100, The R&B Top 100 and the Disco Top 100 charts in America, all at the same time!! And to top it all off, Queen’s Greatest Hits album is the highest selling album of all time in the UK!! The seemingly endless dominance and energy of Queen, sadly did not last forever. After a long battle with the AIDS Virus, Freddie Mercury passed away on November 24th, 1991. Freddie & Queen’s legacy is enormous, with music that endears itself to fans across the entire spectrum of age, gender & nationality worldwide. So, as a lifelong fan and devotee to the music of Queen, Gareth Hill had dreamed of playing the part of Freddie in a live show, ever since his untimely and premature death nearly 20 years earlier. It was with great trepidation that he approached this concept, knowing that a less than stellar representation of Queen’s magic would not be acceptable. It had to be brilliant! 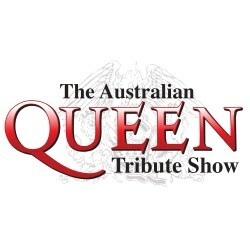 The Australian Queen Tribute Show was 9formed in 2006. After a few line up changes, hundreds of rehearsals and countless hours of planning & preparation, the band was finally ready in late 2008. And the results were simply spectacular! 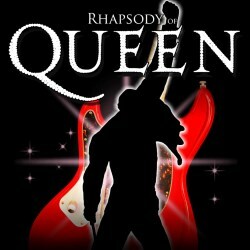 With absolutely no reliance on backing tracks, with all songs in the original keys and with a stage show that brings the brilliance and magic of Queen alive like no other, The Australian Queen Tribute Show are simply the best sounding, best looking and most technically accurate Queen Tribute anywhere. The formula is simple. Sound like Queen, perform like Queen, look like Queen and have a hell of a lot of fun doing it! Over the last 2 years the band has toured the breadth & width of Australia, bringing the magic of Queen to dozens of country areas and racking up countless kilometres!! The plan over the next 2 years is to bring the show to all capital cities and to many regional areas that would otherwise not have the opportunity of seeing such a great show. So stay tuned, we’re coming to YOU!! Gareth Hill as Freddie Mercury has to be seen to be believed. His mind blowing ‘Freddie Like’ vocal range, stage antics and amazing likeness for Freddie Mercury are a sight and sound to behold! Scotty Hotpants as the inimitable Brian May replicates the licks of Brian with such accuracy that even die-hard fans are left amazed! The trusty Red Special by his side, Vox AC30 amp to pump out that huge sound, curly mop to match and a lanky stature to boot, you’ll have to look (and listen) twice... Trust me! The ever reliable bass player of the band is played by Darryn McLaughlin... Let’s just say that the staid and sensible John Deacon is played to perfection. Queen’s drummer, Roger Taylor had a style which cannot be mistaken and Brad Hodge as Mr Taylor doesn’t miss a beat... With a replica of the Wembley ’86 drumkit, the blond locks, Raybans and attitude to go with all of that, it’s ‘almost’ Roger Taylor in the flesh!! So if it’s Queen you want? It’s Queen you can have!!! Check out the Gig Guide and come see The Australian Queen Tribute Show for an experience that you’ll never forget! Marc Martels Projekte, die keine eigene Kategorie besitzen, aber einen Queen-Bezug haben.